The Sony DPS-M7 is a digital sonic modulator developed with the wealth of digital and audio technology accumulated over the years by Sony, innovator of the highly acclaimed Digital Reverberator Sony DRE -2000 and Sony MU-R201. The Sony DPS-M7 converts an incoming analog signal to a digital signal and outputs the signal again after passing it through various effect processes and reconverting it into an analog signal. The determining factor for the sound quality is the conversion mechanism that adopts the 18-bit oversampling stereo A/D converter and the 49.152 MHz clock advanced pulse D/A converter, which results in highly accurate effects with little deterioration of quality. The large size backlit LCD of 40 characters‘ by 2 lines enables smooth operation while viewing the operating condition in real time. Since the LCD also has an on-line manual function (in English), information necessary for operation can be displayed. The Sony DPS-M7, in its preset memory, has a hundred variations of effects created by musicians, sound mixers and acoustic engineers around the world . This will therefore enable you to select and replay the desired effects for a particular purpose immediately. The EDIT function allows you to change the preset effects or create original effects. Aside from the present preset memory of 100 effects, the Sony DPS-M7 also has a user memory in which up to 256 effects can be freely saved. Using this memory will enable more varicolored play effects. To obtain various effects, the Sony DPS-M7 processes signals with seven blocks consisting mainly of the modulation block, plus the input block, pre-effect blocks 1 and 2, post effect block, envelope block and output block. One of the 20 algorithms available in the modulation block can be used. One of the 5 algorithms available in pre-effect 1 and 2 blocks can be used. One of the 4 algorithms in post-effect block and one of the 3 algorithms in the envelope blocks can be used. (Algorithms “OFF” are excluded.) Variegated effects matching the input source can be obtained by combinations of the seven blocks and combinations of the algorithms in the blocks. Remote control of the Sony DPS-M7 panel operation is possible by means of the separately available remote controller (Sony RM-DPS7). The Sony DPS-M7 is equipped with XLR connectors (balanced type) and phone jacks to which musical instruments, recording equipment and PA (public address) equipment can be connected. 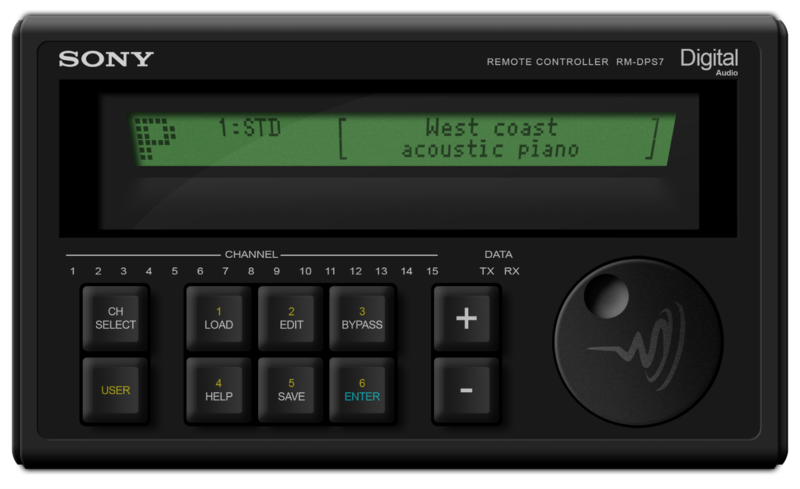 Since the DPS-M7 is equipped with MlDl functions, memory numbers of this unit can be selected with program change signals of the MIDI device such as a keyboard. Moreover, since effect level, etc. can be controlled by key touch and control change signals, the unit is highly effective as an effector of digital musical instruments. 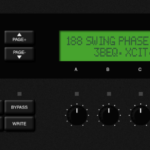 Automatic performance is also possible by controlling with computers having the MIDI interface and with a MIDI sequencer.